Alex Burbidge, sophomore, is a reporter for the 2017-2018 Eyrie. 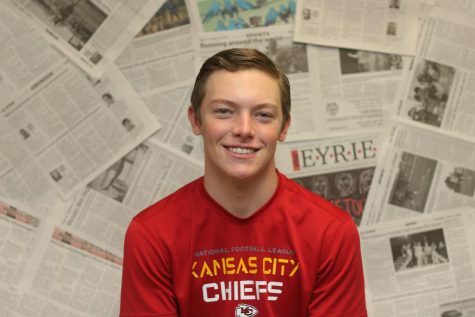 Other than journalism, Burbidge enjoys anything and everything involving baseball, and is a pitcher for the Olathe South baseball team. He also enjoys music, namely the Beatles and blink-182. This is his second year on the staff.